Seducing sweet fruit, ripe and with depth. Slight farmland stamp (manure). Delicious juice, smooth, dark and with plenty of strength. Delicious full red fruit. Pure joy, as wine should be. Soft finish. Scent of rose hip, hint of Crème de Cassis, quite ripe (thus). Smooth wine also, but with a little bit more strength than the previous one. Good grip, pleasant texture. Finish with chalky fruit and chewy ripe tannins. Good acidity. Lovely wine. Pleasant quite slender nose, red fruit. Gentle texture, wine with - good - spirit. Harmonious, acids well in place. This wine constitutes a joyful whole. Très réussi. Nose quite ripe but also somewhat modest in the start. Black and red fruit. First impression: a little unusual, with a distinct, but attractive character. Spice. Liquorice. And fraîcheur (acids). Very open, pronounced. Very good. 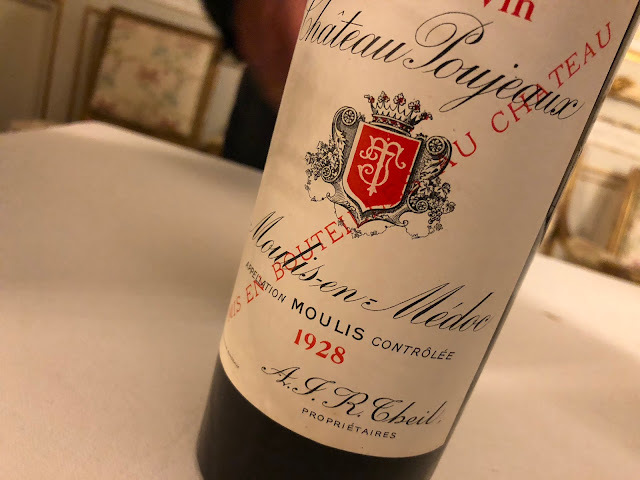 The 2004 of this wine also stood an excellent chance at the Grands Vins de Bordeaux 2004 tasting of the Grand Jury Européen.